We will start 2017 with a trip down memory lane by recalling one of the social clubs associated with Mansfield Colliery. The photo is taken in the Drill Hall (now Kingsway Hall) at Forest Town, recognisable because of the picture on the stage backcloth which many people remember. Thanks to Joan nee Annable for the photograph and information. 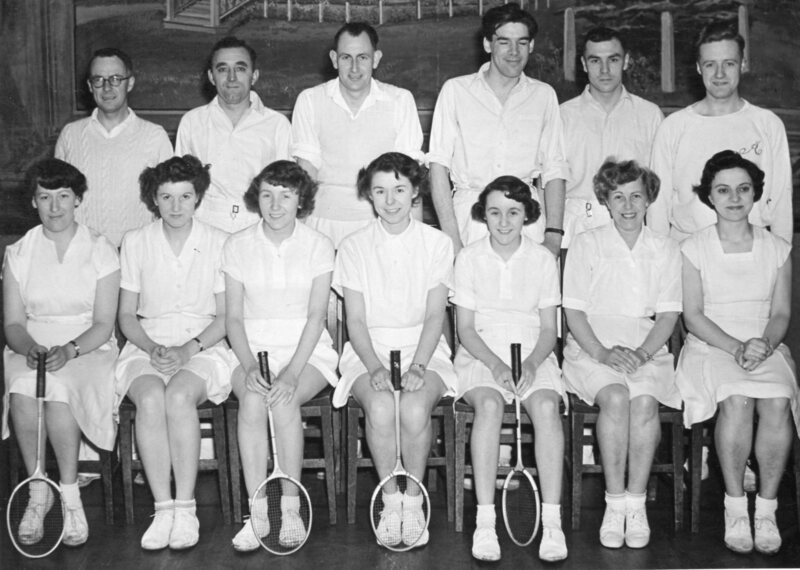 I attended High Oakham Girls School from 1947 – 1951 and during that time Miss Dorothy Hall (front row right) was my P.E. teacher. There is another photo of her with the High Oakham teachers circa 1947 in the education section. I think the above photograph is possibly pre 1947.